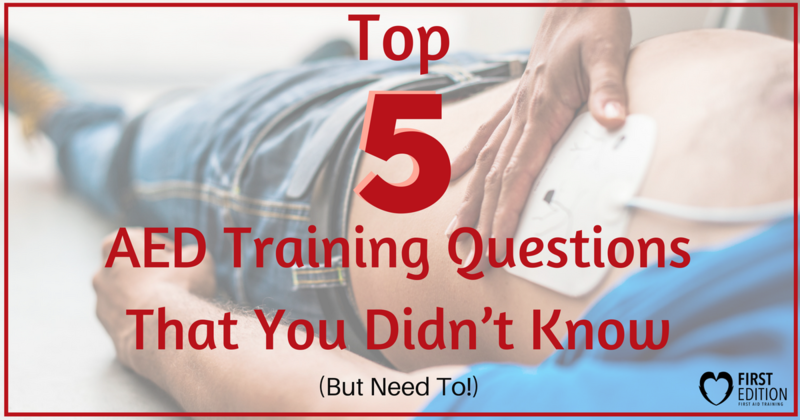 Top 5 AED Training Questions That You Didn’t Know… But Need to! - First Edition First Aid Training Inc.
Home / Blog / Aed / Top 5 AED Training Questions That You Didn’t Know… But Need to! Top 5 AED Training Questions That You Didn’t Know… But Need to! Using an AED is so easy that a child can do it! AED devices are made so that they are efficient, understandable, functional, and offer comprehensive instructions that are easy for anyone to follow. Although the layout and use of an AED may be simple, there are still many AED training questions that get brought up. Just because you know how to use the AED, doesn’t mean you always know when and where to use it. Check out these top 5 AED training questions that you didn’t know the answer to, but should! Although it may sound like they are different things, ‘AED’ stands for ‘Automated External Defibrillator. People use the abbreviation ‘AED’ as a short form of the full name, or they call it a ‘defibrillator’. Heck, sometimes just ‘defib’! Can You Use an AED on a Pregnant Woman? When taking an AED training course, each instructor will teach you where to place the AED pads on both a child and an adult. You will learn that for adults, pads should be place on the top right of the individual’s chest, as well as the left side along their ribs. For young children and infants, specialized child AED pads are placed with one on the center of their chest and the other on the center of their back. What you may not have learned from your AED training course is whether or not you should use an AED on someone who is pregnant. Would it harm the unborn baby? Would it be better to not use an AED at all? The answer is… NO! It will not harm the baby, and YES you should use an AED on a pregnant woman. The longer a patient is left without the attention of an AED, their chances of survival drop. In fact, for every minute without assistance, survival rates will decrease by 7-10%. The same goes for pregnant women and their unborn child. If a pregnant woman experiences a cardiac arrest, it is encouraged that you use an AED to help them. Doing this will increase the chances of survival for the woman, and the child as a result. 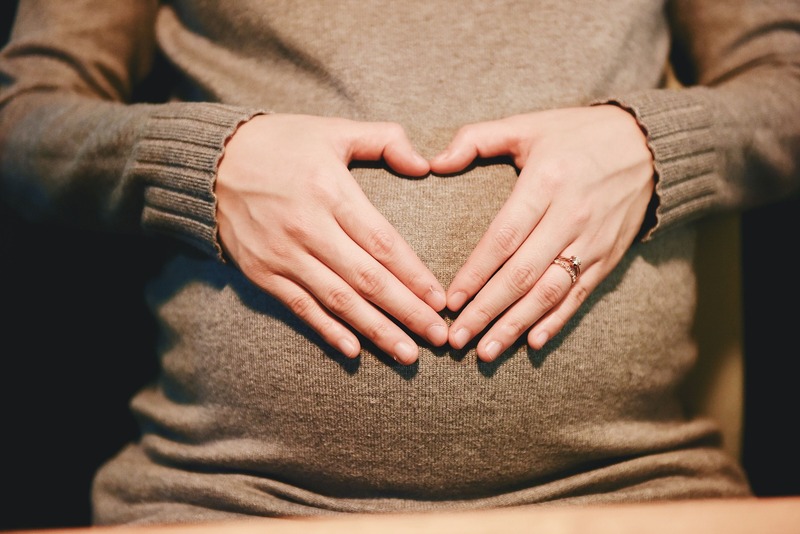 Although you may think that the shocks could hurt the baby, research done by Farida Mary Jeejeebhoy, from the University of Toronto, has found that defibrillator shocks do not harm the fetus. On the other hand, if the mother does not receive medical aid quickly, it is likely that she and the child will not survive. Do everything you can to help a pregnant woman who is experiencing a sudden cardiac arrest, and in turn you will be helping the child too! NOTE: In the event that a pregnant patient has a cardiac arrest, be sure to call 911 right away and inform them that the patient is pregnant. This is important information to convey as medical professionals can prepare to perform an urgent C-Section dependent upon the state of the woman and the stage of the pregnancy. NOTE: It is completely safe to perform CPR on a pregnant individual (as the compressions are performed high enough that the child will not be harmed). Will an AED Work on Someone with No Heartbeat? Unlike what we are used to seeing on television and films (it seems that directors need a bit more AED training), when a patient ‘flatlines’ and no longer has a heartbeat, their heart cannot be shocked back to life. An AED is used only in cases of sudden cardiac arrest, during which the heart is in fibrillation (beating sporadically), also called arrhythmia, and is preventing blood and oxygen from getting to the rest of the body. By using a defibrillator (read de-fibrillation), shocks are sent to the heart to ‘kickstart’ it back into beating normally once more. Although an AED cannot be used to restart the heart, CPR may still help. By doing compressions, this works to help the heart continue to pump blood through the body. As well, CPR breaths offer oxygen, which supports the brain – helping to reduce the risk of potential brain damage. Want to know more about how CPR breaths help? We have the answer! In medical settings, CPR can be done long enough for medical professionals to take over and try to get the heart working once more, reviving the patient. Can You Use an AED for Someone Having a Heart Attack? With a heart attack, the patient will be conscious and will be able to inform someone of how they are feeling, or call for help themselves. 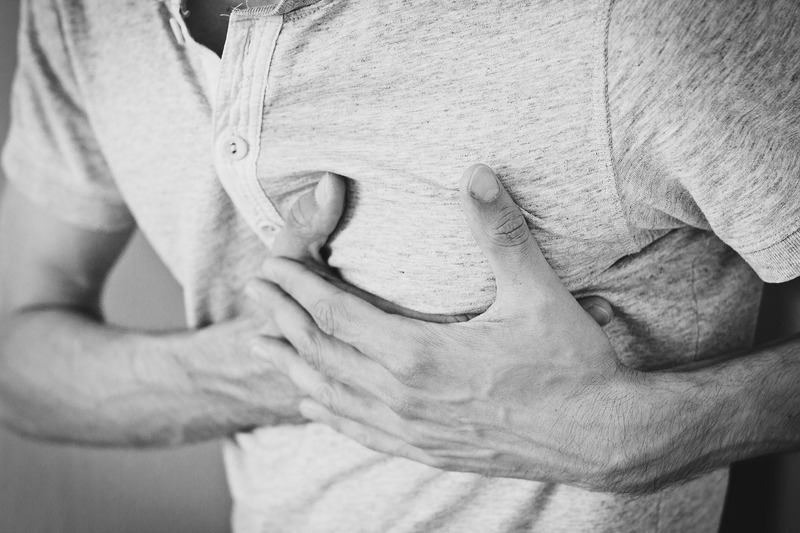 CPR and the use of an AED are not required for those who suffer from a heart attack. It is only if the heart attack advances to cardiac arrest (which it often can), that the individual will need these life-saving measures. It is in these instances that you should call 911 right away, instruct someone to bring you an AED, and begin CPR until you are able to use the AED or until professional medical help arrives. Not sure what to do? All of these symptoms and actions can be learned and practiced in a CPR and AED training course. Taking a course will help build confidence and understanding for when emergencies do occur. Can an AED Be Used in the Water? Because electricity flows through water, it is never recommended that you use an AED in wet locations. Using an AED in the water could cause further harm to the person in need, as well as potentially harm yourself and others nearby. Instead, the best way to help someone, is to remove the patient from the water source (puddle, lake, etc.). Once they are removed and out of contact with the water, do your best to dry off the individual. When drying them off, pay close attention to drying their chest and abdomen, as this is the location where the AED pads will need to be placed. Once the patient’s chest is dried, and everyone is away from contact with the water (and the individual), you may then attach the AED pads and begin following the AED instructions. NOTE: CPR can be done in wet locations and should be done at the soonest possible opportunity. The use of an AED can very much save a life! It is so important that we act to help those in need, and use a defibrillator properly to ensure the highest chances of survival. Have any other AED questions or want to learn more about life-saving skills? Contact us at info@firsteditionfirstaid.com or register for a First Aid course where you can receive thorough CPR and AED training!